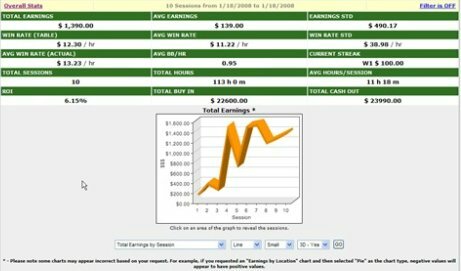 A results tracking program that allows a player to evaluate his or her progress in different locations, game types, and buy-ins. Perhaps the greatest advantage this application has over its competition is the ability to import files from PokerTracker. However, this process is tedious and only 2,000 hand histories can be imported at one time. Poker Dominator is a free web-based application that requires no download. 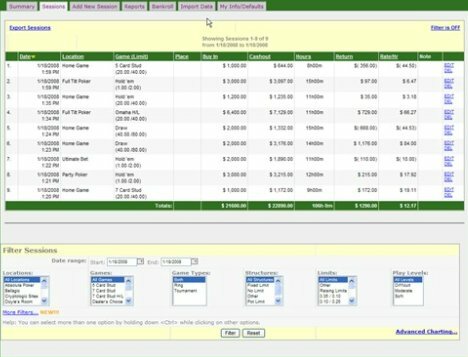 Players can customize session templates for faster data entry and the learning curve for this application is less than 15 minutes for live results input. For those having trouble importing files from PokerTracker, please watch our video review, where the import process is explained in detail.